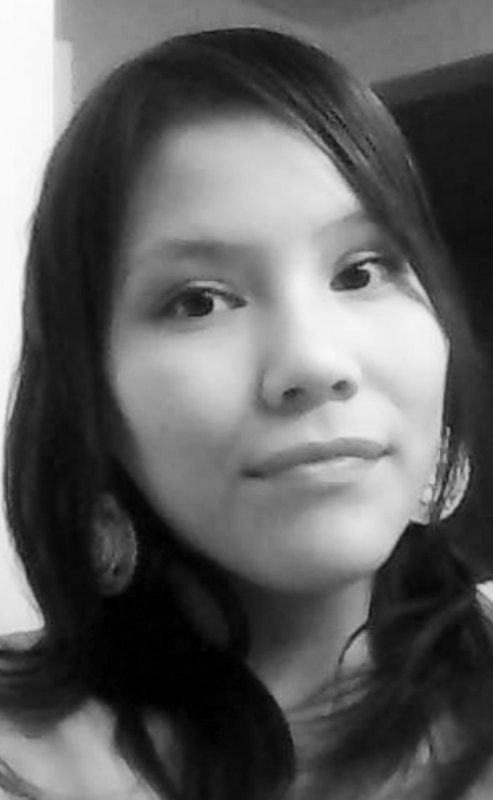 We are sad to announce the sudden passing of our dear wife, mother, sister born November 27, 1995, TIFFANY RAE GAMBLER (CROW CHIEF) on January 30, 2019 on the Blood Reserve at the tender age of 23 years. She will be sadly missed by her companion of 5 yrs, Vernon Eagle Plume, their children; Franklin, Tahniika; sisters, Ashley (Russell) Crow Chief and Susanne Crow Chief. She was the daughter of the late Franklin Crow Chief and Patricia Gambler. The Wake Service will be at White Calf Hall, Standoff, AB on Friday, February 8th from 7:00 – 11:00 p.m. continuing all night at the Merlin (Lorna) Eagle Plume residence. The Funeral Service will be held at White Calf Hall on Saturday, February 9th at 11:00 a.m. Interment in St. Catherine’s Cemetery.